Learn How & Where to Get All the Money You Need to Fund Your Deals Now! 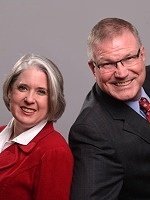 Join us Monday, October 3rd at 5PM at the Atlanta REIA Main Meeting at the Doubletree Hotel Roswell located at 1075 Holcomb Bridge Rd, Roswell, GA where real estate and private money expert Jay Conner will teach you “Where to Get the Money Now” to fund all of your real estate deals. 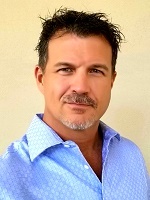 Jay will teach you how he turned his real estate investing business into a seven figure money making machine in less than 2 years using a simple, step-by-step system that enabled him to raise $2,150,000 in less than 90 Days. Jay’s specialty is acquiring private money for his renovation projects. And whether you know it or not, the difference between the rich and the just getting by in today’s real estate market.is “Private Money”. A large part of Jay’s business is based on people putting up the money to make a loan so he can buy all the ugly houses out there that need renovated. Jay always gets a big check when he buys a property and doesn’t even make monthly payments on his loans! It is possible… come find out how! Is your Real Estate Business Suffering because of any of these problems? Short on cash and can’t do deals? Don’t know where or how to get the cash? Feel sick because you lost out on a great deal and watched another investor with the money pocket your profits? Lack the confidence to raise money? If you answered “YES!” to any of the above questions, and if you’re even remotely interested in transforming your real estate investing from a hobby to a thriving 6-Figure business that churns out thousands of dollars in passive income month after month, this may be the most important meeting you’ve attended all year! All this is happening at the Atlanta REIA main meeting on Monday, October 3rd at 5PM at the Doubletree Hotel Roswell located at 1075 Holcomb Bridge Rd, Roswell, GA.
Join Don DeRosa at the High Tech Home Buying Creative Deal Structuring Subgroup on Monday, October 3rd from 5PM to 6PM at the Atlanta REIA Main Meeting at the Doubletree where he will be teaching about a wide variety of topics each month. Don will teach you about the state-of-the-art tools and techniques you’ll use to evaluate deals and figure out how to make them work – so you can work less and spend more time where you want, when you want and with whom you want. 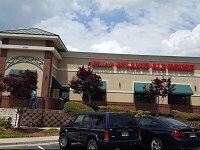 After the conclusion of the Atlanta REIA Main Meeting, we will be reconvening at 9:30 PM at Miller’s Ale House located at 10750 Davis Dr in Alpharetta, GA for the Late Nite Networking and the “Meeting-After-The-Meeting”! There is no charge for Atlanta REIA Members or guests to attend Late Nite Networking, so bring a friend and head on down to Late Nite Networking and have a cold brew with us! Just be sure you order food and beverages from the restaurant and please tip their wait staff generously. In Person or Online via GoToWebinar! Discover Low Tech, Low Cost Strategies & Techniques to Genearate All the Motivated Buyer & Seller Leads You Can Handle to Explode Your Real Estate Investing Business! Guerilla Marketing 1.0 takes place on Saturday, September 24th from 9AM to 6PM at 1960 Skylar Hill Dr, Buford, GA or Online via GoToWebinar. Come join up in person or online! I would love to help you take your Real Estate Investing to the next level by generating all the motivated buyer and seller leads you can handle! Please Note: This low cost, information packed in-personclass is limited to 36 people and will sell out fast, so register now and reserve your seat! No Charge for Members. Guests Pay $10 at the Door. Do you want to get started in Real Estate Investing? Wholesaling is a great way to get started since it’s a win-win-win deal for all those involved. You find an unwanted property, put it under contract to buy from the seller, then sell it immediately to a cash buyer. The seller gets rid of an unwanted property that needs repairs, and the buyer gets a property that they can fix and flip or rent out. The money you make in the middle between your buy price and your sales price is a nice paycheck for you! Wholesaling is a great way to generate quick cash while learning today’s highly competitive real estate market, making contacts in the business, and building your cash buyers list. You can get started without using your credit, you don’t need a lot of cash, and you won’t take big risks when you do it right. Build a good name for yourself as a wholesaler, and you’ll have no shortage of cash buyers eagerly waiting to buy your good deals! Join us this month at the Wild West Real Estate Event as we excitedly bring you a powerful panel of very mature, knowledgeable, seasoned investors who are ACTIVELY wholesaling single family houses in the Atlanta market, right here, right NOW! 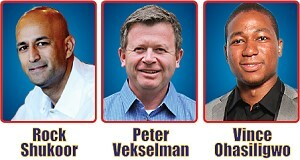 The Panel will be composed of Rock Shukoor, Peter Vekselman and Vince Ohasiligwo and is being hosted by Leslie Mathis. If quick cash with little risk sounds great to you, then you definitely want to attend the Wild West Meeting this month! We’re taking questions ahead of the event, so email them to Leslie at LeslieMathisMentor@gmail.com from your cell phone right now! 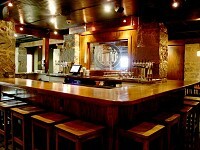 Atlanta REIA Members are No Charge and guests pay $10 at the door. 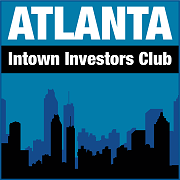 The Atlanta Intown Investors Club is a new Atlanta REIA Subgroup led by Maggie Groholski that meets on Thursday, September 15th at 6PM at the Wrecking Bar BrewPub in Atlanta, GA. Our mission and focus is to provide an open forum for real estate investors and industry professionals to network and have direct access to hot real estate deals. The format for this meeting is totally member-centric. It’s content and value is derived from our members and guests actively participating and networking with each other during the meeting. Come join us at BIG on Monday, September 19th at 6:30PM at Hudson Grille located at the 6317 Roswell Rd in Sandy Springs, and learn all about how to generate motivated buyer and seller leads with Dustin Griffin. As a new or “new again” investor, are you generating enough motivated buyer and seller leads each month to survive and thrive in today’s competitive real estate market? Are you generating at least 20-40 leads per month from your marketing efforts? If you’re not generating this many leads or more, you should join us for our next BIG Meeting to learn how to generate all the motivated buyer and seller leads you can handle. What is Marketing vs Guerilla Marketing? Please bring examples of your marketing materials such as your business cards, flyers, signs and any other marketing material you would like to share with and/or show the group. Come join us and learn how you can generate all the leads you can handle with a little time, effort, creativity and a relatively low budget. This is the one event you can’t afford to miss. Seating is limited! professionals as we hang out late into the night! and inspire new investors working on their “first deal” and help new again investors get their “next deal”. 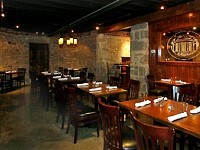 Please join us on the 3rd Monday of each month at Hudson Grille located at 6317 Roswell Rd in Sandy Springs. Please join us on Tuesday, September 20th at NOON for the Atlanta REIA Onsite Renovation Group (ORG) to learn all about finding, funding, fixing, and flipping houses for big profits. This month’s meeting will be held at Frank Iglesias’s property located at 476 Maynard Terrace SE, Atlanta, GA. Come join us onsite and learn how Frank will turn this house into a profitable deal! The Atlanta REIA Onsite Renovation Group (ORG), hosted by Don DeRosa and Dustin Griffin, is an educational and networking group that focuses on the acquisition, renovation and retail resale (fix and flip) of single family residential homes. The purpose of the group is to allow both new and experienced rehabbers and investors to meet, network and share knowledge and experience with “hands on” access to real property. The Onsite Renovation Group meets on the 3rd Tuesday each month at NOON at an active renovation site, build site or rental property which will vary from month to month. As always, there is no charge for Atlanta REIA members to attend. Guests pay only $20 at the door. The mission of the EPIC group is the provide a platform for success in Real Estate Investing through Education, Properties, Income, and a Community of like-minded investors. EPIC is held on the 3rd Tuesday of every month at 6PM at the Flat Creek Country Club located at 100 Flat Creek Rd, Peachtree City, GA. 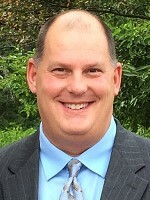 This month’s speaker is James Clifton, the founding member of The Clifton Law Firm, LLC. 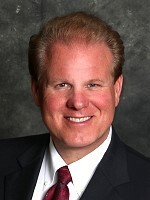 His areas of focus are real estate, landlord/tenant, foreclosure, probate, wills, trusts, and estates. 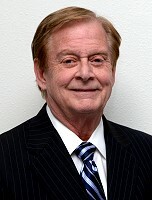 In addition to his various state licenses in GA, FL, CA & TX, Mr. Clifton is a member of the Bar of the United States Supreme Court. 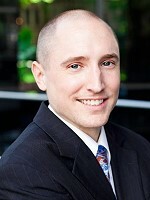 The importance of title insurance. Come Out on Tuesday, September 20th and every 3rd Tuesday of Each Month. You are sure to meet some great individuals and make lasting connections that will help propel your business in the right direction. We look forward to seeing you there! Probate is the governing process for the distribution of a person’s assets after they pass away. Many investors stay away from probates because of their lack of education. This breeds fear—a fear of the unknown. However, a fear of the unknown is the same as going into a dark house. If you turn the light on, the fear goes away.